Patrick J. Cooney, of the firm's Albertson office, obtained a defense verdict in a recent trial in Supreme Court, New York County, in a case involving alleged overcrowding and failed crowd control measures in a movie theatre. While walking down the stairs, the Plaintiff alleged that a stampede of patrons ran up behind and pushed her, causing her to fall down a flight of stairs. The Plaintiff alleged that the theatre and the sponsor of a free movie screening were negligent in permitting the theatre to become overcrowded and in failing to provide adequate security and crowd control. Plaintiff's expert opined that the theatre and sponsor were negligent for failing to have a written plan/guidelines for events such as the one which was hosted on the d/l. In response to Plaintiff’s claims of overcrowding, the defense used experts to establish that notwithstanding the lack of a written plan, the theatre was not overcrowded and that there was adequate crowd control. The defendant’s employee testified that he observed the Plaintiff running in high heeled boots and that she fell, i.e. was not pushed. The defense also impeached the credibility of the Plaintiff, among other ways, by revealing that she had five prior lawsuits. The jury ultimately returned a defense verdict, with all jurors holding that the theatre was not overcrowded and five out of six jurors holing that there was adequate crowd control. (June, 2016). Patrick J. Cooney is a Partner in the Albertson office. He handles a wide variety of matters for the firm while supervising the firm's young associates. In addition to managing his own case load, Mr. Cooney tries many of ADM's more complex and high exposure cases. He is the editor and a contributing writer for the firm's newsletter. Mr. Cooney has also lectured on a number of topics, including the New York State Labor Law, New York Pattern Jury Instructions and Risk Management. 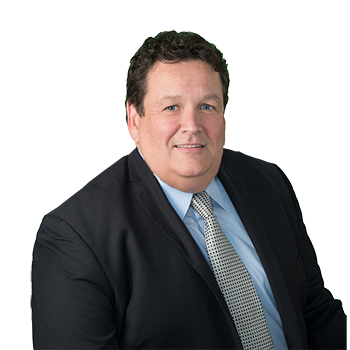 Outside the firm, Patrick serves on the Executive Board and as counsel to the Long Island Amateur Hockey League. Following a successful officiating career and serving 12 years as the Referee-In-Chief for NYSAHA/USA Hockey, Eastern Zone of New York, Patrick continues to work with hockey officials in New York City and Long Island as the Local Training Supervisor. He has been recognized by the LIAHL for his service and dedication to the development of youth hockey. As a coach, Patrick has been recognized as a "Coach of the Year" and honored for his efforts in developing young hockey players. Patrick is the recipient of the 2016 Chris Kirgan Award given by NYSAHA, East Section/USA Hockey in Recognition of his integrity and substantial and outstanding contributions to the sport of ice hockey.